209 Raymond Dr, Homewood, AL.| MLS# 839067 | Richard Jacks UABLIVING.com 205-910-2297 | Birmingham AL Real Estate | Contact us to request more information about our Homes for Sale in the Birmingham AL area. 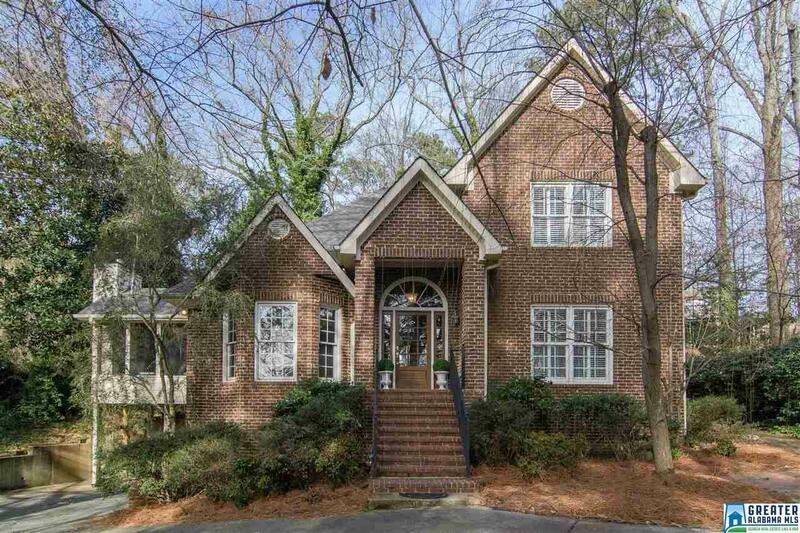 All BRICK, one OWNER 4 bedrooms/4.5 home with lots of extras in Edgewood for under $600,000!! Refinished hardwoods, decorator colors, great natural light and a bonus room and full bath in the basement. The main level features a formal LR & DR, open kitchen with breakfast nook and hearth room, laundry room, power room & large master suite. The kitchen has granite countertops, island with bar seating and is open for lots of entertaining space. Master updated in 2014 with double vanity and soaking tub. 3 bedrooms/2 full baths on the 2nd floor. Tons of storage with walk-in closets, walk-in attic space and full basement (finished & unfinished space). Amazing covered porch on the main level with fireplace and flat screen. . This basement is also equipped with a safe house, workshop, and 1-2 car garage. Priced way below $200 sq ft (Edgewood avg is $225 per square foot). Roof is new. Sellers love that the house is so private, but also incredibly convenient. Driving Directions: From Saulter Rd Turn Onto Raymond Dr. House Is On The Left.